I adore the Aztec style - clothes, home furnishings, and especially nail art. 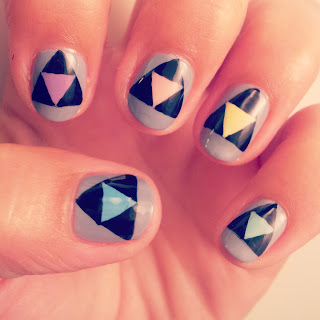 The geometric styles are detailed and complex which adds to their mesmerising nature, however, this doesn't translate too well into nail art. It is difficult to achieve perfect Aztec nails without simplifying the themes a little. I took the signature triangle from Aztec print as a simple focus for this design. 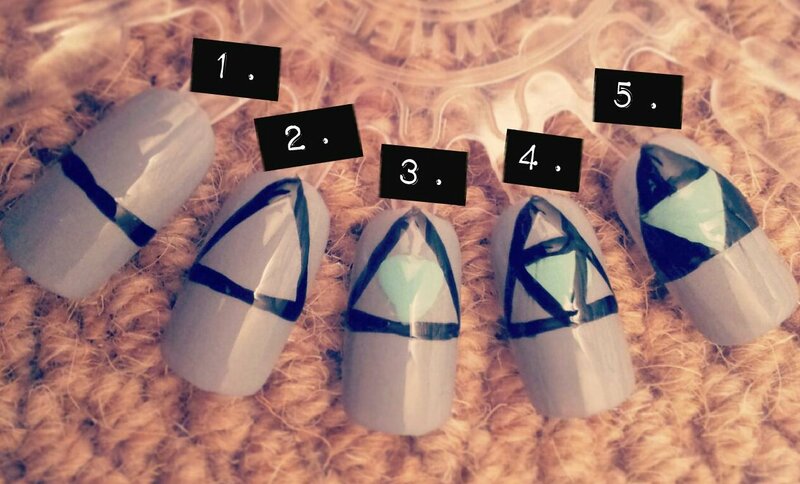 By repeating the same design on each nail you get the feel of a pattern emerging, without the painstaking hours of a highly technical design. In this design I added five pastels to reflect the more colourful Aztec prints. The picture below shows the simple steps I took to achieve this design. The only tool you need is a striping brush to help keep the lines clean.